Through means currently unknown, approximately 500 million NEM tokens were exfiltrated from leading Japanese cryptocurrency exchange Coincheck, valued at approximately $400 million. Bloomberg reports that, aside from Bitcoin, all trading on the platform has been suspended. To give a sense of scale, all the money lost or stolen in initial coin offerings is estimated to be worth around $400 million. When the Mt. Gox exchange collapsed in early 2014, nearly cratering Bitcoin along with it, the value of the 750,000 stolen bitcoins was in excess of $424 million at the time Mt. Gox cratered. (Today, those same coins are worth more than $8.3 billion.) 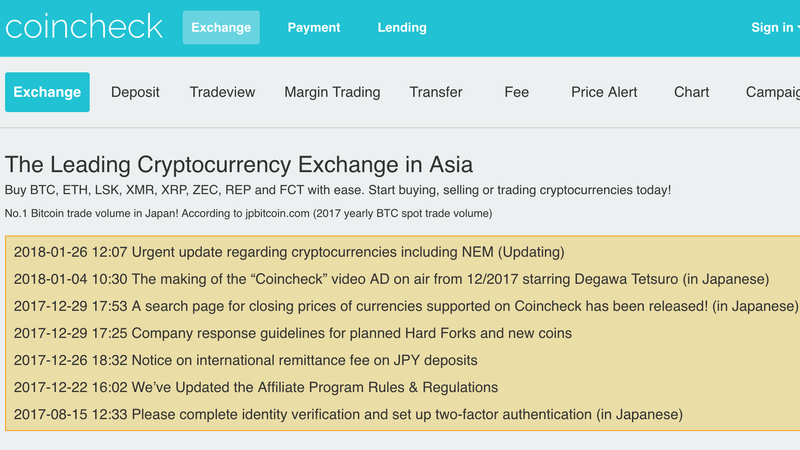 Although there’s considerably more money wrapped up the crypto space than four years ago, Coincheck’s disappearing NEM act still ranks among the worst breaches. Japan’s Financial Services Agency is continuing to investigate the situation.